Information research on freedom-to-operate is daily business patent research. But it should never be undervalued. Every single project somehow is a class of its own. And missing the tiniest piece of “public” information can have major impact on the success of your IP strategy. As a it could be of special interest, I added some tips to reduce your costs with FTO research at the end of this post. FTO research should not be like tapping around in the dark. With the words of a good friend of mine, FTO research should be defining the borders and specs of the football field (“playground”). So, start your mission with asking questions. A lot of questions. From different angles and viewpoints. What is the scope? What kind and dimensions of freedom do you need? What do you really need to know? And how can you delimitate the search? Who could have worked with the technology? What sources of information should be considered beyond literature? What databases need to be used and where do you find them? 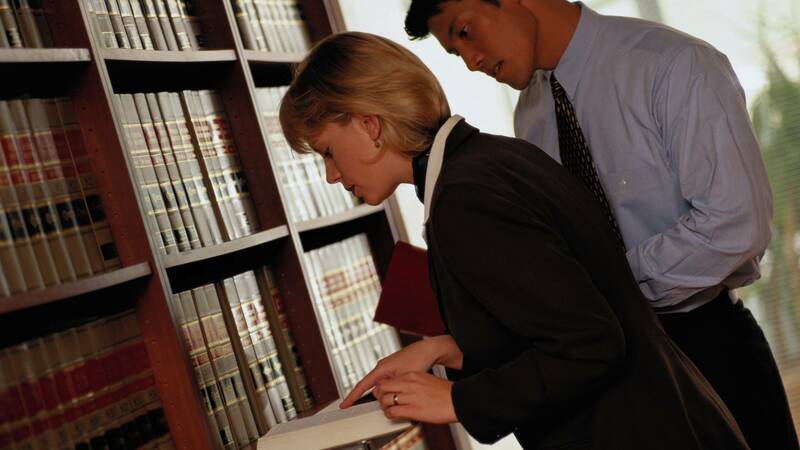 As a patent attorney or research manager, feel mandated to give your information searcher as much background information and direction as possible. And allow him or her to bother and challenge you. Jointly develop authoritative search keyword synonym groups as well as a sound search strategy, which is a proper balance between quality and quantity. Last not least do some early preview searches in database indexes while developing the strategy, which will give you an impression if your strategy works as well as on volumes. Sometimes it is helpful to think through the backdoor. Non-patent scientific literature can increase the certainty of your FTO. Is there any publication (scientific literature, common press) that might prevent a 2nd party application? There are public sources, e.g. for patent literature, like esp@cenet, USPTO, DEPATISnet, and with other national patent authorities. Specialist information databases on the other hand provide “pre-digested” high quality information. Established vendors are STN, Delphion, Proquest Dialog, and FIZ Technik (in Germany). So, you pay what you get. External information specialists (agencies and freelancers) provide you a sound information research & analysis competence, a considerable level of flexibility, and – last not least – an independent viewpoint. Does the external specialist demonstrate a provable level of professionalism, experience and reliability? Does the external specialist in addition to information research expertise also provide a particular competence in the technological field or subject of the project? How will your communication be organized? How is information security ensured? Do you have a confidentiality/non-disclosure agreement in place? No, I don’t want to give a lecture on professional information research. But again, there are some peculiarities of source databases, you should take into account when interpreting results. Taking all together, most information professionals prefer to use multi-files searches (database clusters) instead of single file searches. But a proper level of experience is needed to not just get more, but to ensure that nothing relevant is lost. Be critical regarding accuracy, completeness and timeliness of any search database content. All databases are full of errors, some created with introduction of the data, some originate from the original document already. … by patent applicant, by OCR reading, by misinterpretation of special characters with some languages, by data errors during processing. As a result, your keywords do not match. … by patent applicant, perhaps intentionally. So, again your – right – keywords do not match. … that have multiple meanings or occur regularly but unspecific within the literature. E.g. “protein”, “cell”, “screen”, “agent”, some substance names, acronyms, etc. Those keywords can give you non-relevant hits and bothersome background noise. Several circumstances create problems with time period limitations used by your search. E.g. by the period of application, by the time gap between filing and database entry as well as by different characteristics of static and dynamic literature databases. As a result, you don’t get some publications you should. With some search strategies you might accidentally miss relevant publications. E.g. using IPCs in search profile increases stringency…. but might overlook applications that are located in exceptional classes. Another issue are unpublished US applications. increase stringency – further delimitation possible? Hold back at least one internal positive control (publication) that should be found by the search strategy. If the positive control(s) was not found, improve the search strategy. Some types of FTO searches, like on bio-sequences, chemical structures or statistical analysis (competitive intelligence) – require specialized tools, special sources as well as particular knowledge and expertise of the analyst. It is vital to have all three in place! To my opinion, it is not sufficient to just state FTO at a certain time point. It needs to be watched. So, monitoring comes into game. Most professional database providers offer alert functions for a given search profile, which automatically drop you a note to your mailbox once a new piece of information is available. It is a quick win to use this functionality. In addition, current awareness searches might be needed at larger intervals to complete the full picture. This approach also allows you fine tuning or search strategies, resp. the adjustment to a changed “football field”. Invest time in the preparation of your search strategy. In advance to database searches “play” with the index. If your search strategy does not work properly within the databases, stop immediately and go back to step 1. Do a multi-file search, put cheap databases first in the row. Avoid search steps for date or region. Be as stringent as useful. Use standardized preview formats for display of hits. Use family sort and duplicate remove. This post is based on a presentation first given at the C5’s European FTO Congress, Munich, November 2006.